Mu-tron (short for Musictronics) was started as an offshoot of Guild in the early '70s. 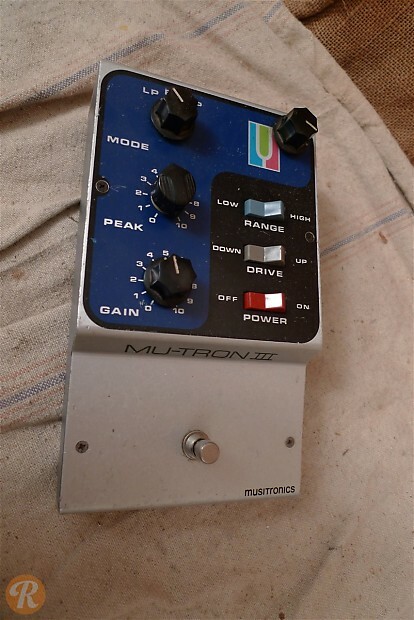 The Mu-tron III was the firm's most popular pedal, and came as the result of its design team trying to isolate components of an analog synthesizer into a pedal. The Mu-tron is an envelope filter and produces a wah-like effect that's commonly used in funk.